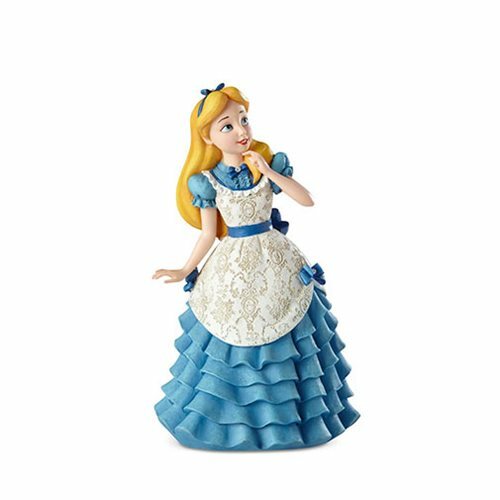 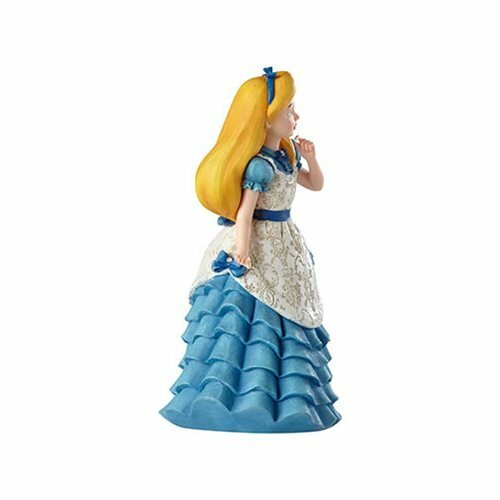 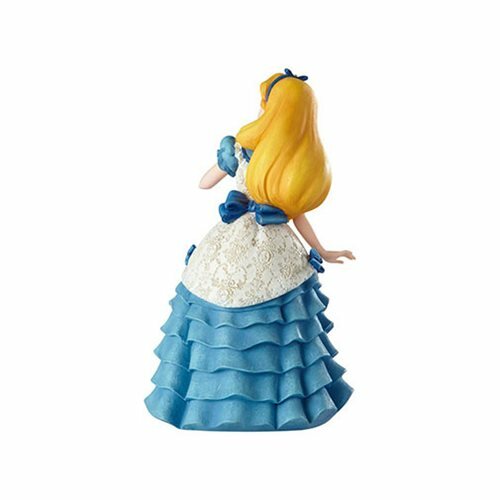 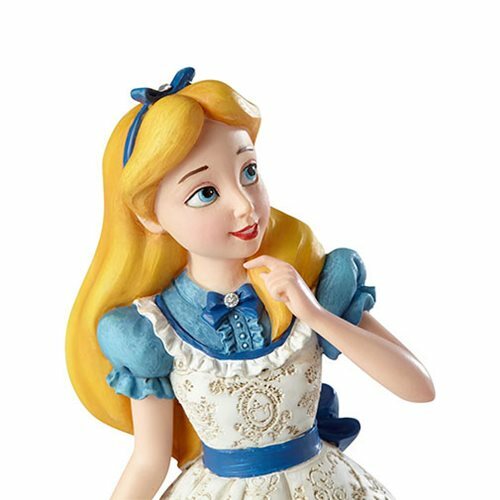 Don't be late to the mad tea party with this gorgeous Disney Showcase Alice in Wonderland Alice Couture de Force Statue! 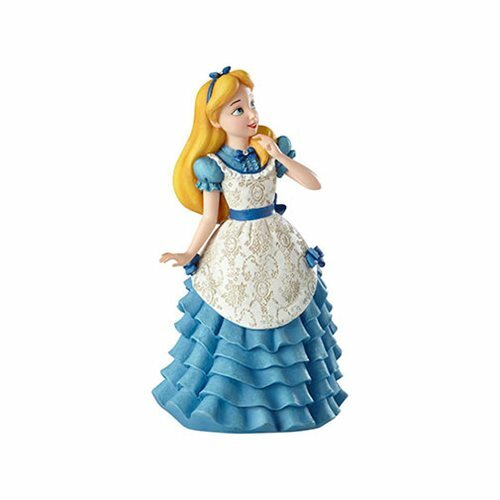 Prepare to be wonderstruck by her elegant, formal tea attire, embellished with sparkling rhinestones, a ruffled skirt and an ornate damask pattern on her signature apron. 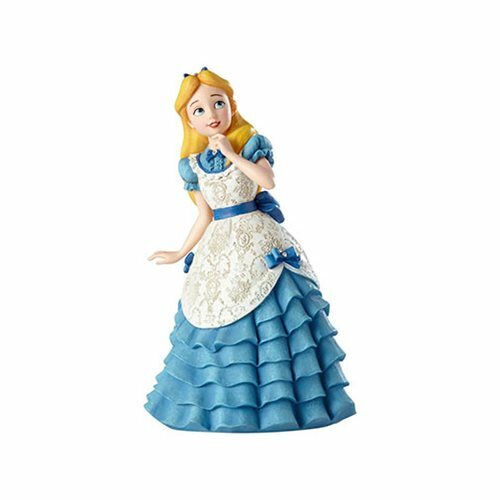 This stone resin statue is a must have for fans of Walt Disney's classic film Alice in Wonderland. 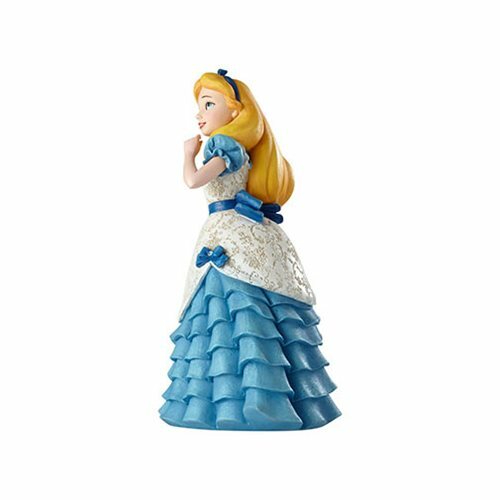 Measures about 6 1/2-inches tall x 3 3/4-inches wide x 3 3/4-inches long.